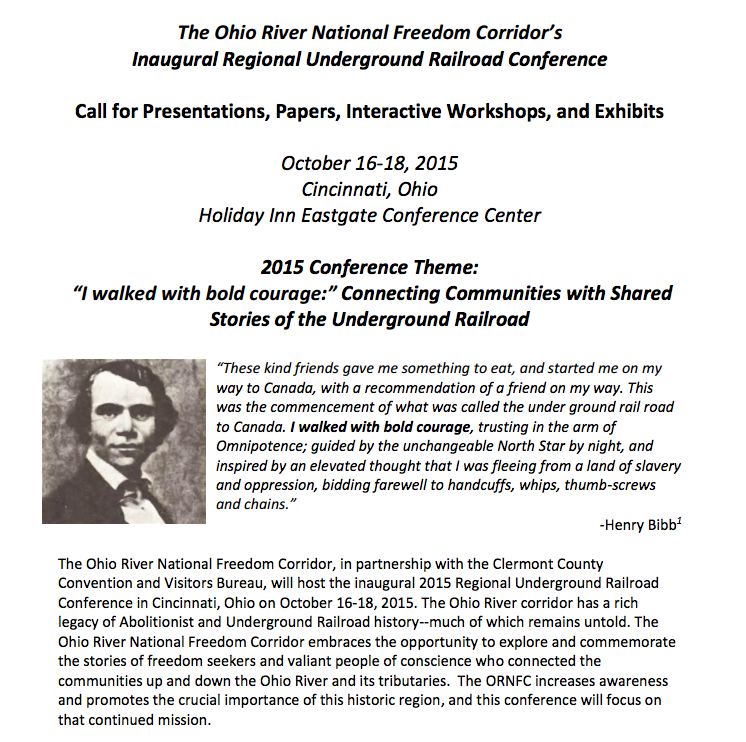 The Ohio River National Freedom Corridor, in partnership with the Clermont County Convention and Visitors Bureau, will host the inaugural 2015 Regional Underground Railroad Conference in Cincinnati, Ohio on October 16-18, 2015. 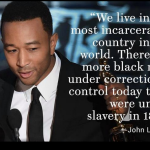 The Ohio River corridor has a rich legacy of Abolitionist and Underground Railroad history–much of which remains untold. The Ohio River National Freedom Corridor embraces the opportunity to explore and commemorate the stories of freedom seekers and valiant people of conscience who connected the communities up and down the Ohio River and its tributaries. The ORNFC increases awareness and promotes the crucial importance of this historic region, and this conference will focus on that continued mission.To find out more about the conference and the call for papers and workshops, go to the Ohio River National Freedom Corridor webpage.